GOOD KING WENCESLAS thought of the poor when the weather turned cold. Election season has the same effect on India¡¯s politicians. With national polls looming in April and May, the two main political parties are competing to shower money on the indigent. The governing Bharatiya Janata Party (BJP) has already started paying benefits to farmers who own less than two hectares (five acres) of land. The Congress party promises cash payments for the poorest 50m households. The new focus on the problem is admirable, but these ideas need rethinking. India has about 50m people living in extreme poverty, according to the World Poverty Clock, an Austrian research project. Many others are severely pinched. Yet India¡¯s safety-net is both immensely complicated, with over 950 centrally funded schemes and subsidies, and stingy. Old people protested in the capital last year, complaining that the central-government pension of 200 rupees ($3) a month has been frozen since 2007. Much of the money spent on welfare never gets to the poor. Numerous subsidies for fertiliser, power, water and so forth are snaffled by better-off farmers or go into officials¡¯ pockets. A large rural employment scheme does mostly reach poor people, since nobody else is prepared to dig ditches all day under the hot sun. But it is expensive to run and prevents participants from doing any other work. A study carried out in Bihar, a poor state, by the World Bank estimated that you could cut poverty at least as much by taking the money for the scheme and dividing it among the entire population, whether poor or not. It is welcome, then, that the parties are vying to come up with better schemes. And it is especially encouraging that both the BJP and Congress are proposing simply to give people money. Distributing cash is cheaper than handing out jobs or food, and allows poor people to buy whatever they need. As bank accounts spread and India¡¯s biometric ID system matures, it should be possible to curb fraud and theft. Yet the politicians¡¯ plans are ill thought out. 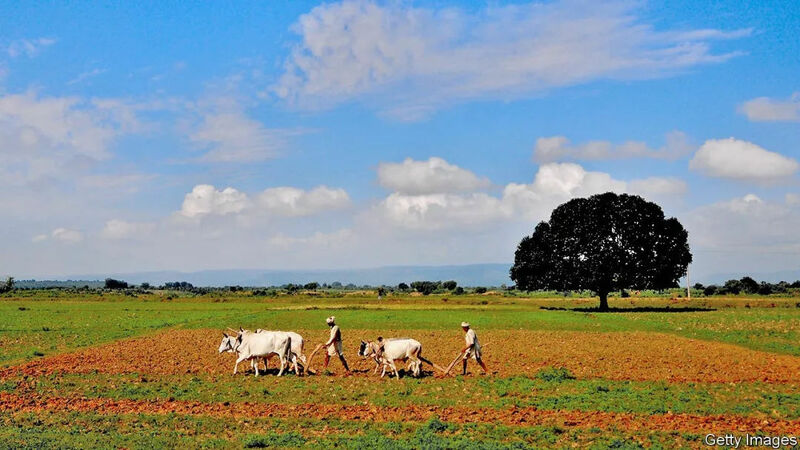 Even if the BJP¡¯s bung to farmers manages to get round the problem that many lack clear land titles, it will do nothing for landless labourers, who are often poorer than smallholders. It would have perverse consequences, too, for it would discourage small farmers from getting bigger. Congress¡¯s scheme to pay needy families 6,000 rupees a month is better (see article), but faces the practical and political difficulties involved in targeting the poor. Targeting welfare is costly and difficult in a country like India. How is the state supposed to identify the poorest 50m households in a country where income and spending are so hard to track? If it looks for signs such as straw roofs, it will almost certainly miss many poor people, especially in the cities. The political economy of targeted schemes is also tricky. In countries with minimal welfare states, schemes with few beneficiaries also have few supporters, and therefore risk being quietly wound down or diminished by inflation. And any formula used to target the bottom 20% is likely to be so opaque that people will never know whether they should have been included or not, so cannot fight for their entitlements. A workfare scheme in Argentina, trabajar, was so well-targeted¡ª75% of its beneficiaries were among the bottom 30%¡ªthat it lost political support and was replaced by a benefit with broader appeal. As Amartya Sen, an Indian economist, put it, benefits that go only to the poor often end up being poor benefits. Two years ago a government report suggested a bold new approach. Instead of a universal basic income¡ªan idea doing the rounds in rich countries¡ªcreate a nearly universal scheme from which you exclude the richest quarter of the population. They are easier (and therefore cheaper) to spot than the poorest. 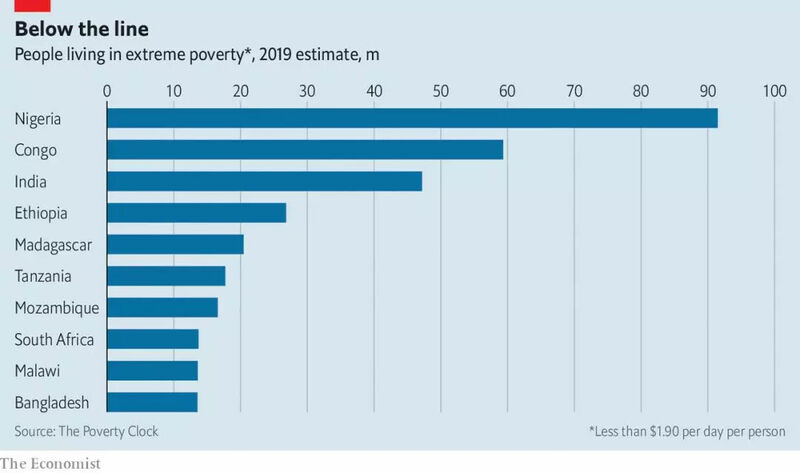 The report estimated that poverty could be virtually eradicated at a cost of 5% of GDP¡ªjust about the same as the combined cost of the existing schemes and subsidies. Transfers to the very poor would be lower under Congress¡¯s plan, but since a broader scheme¡¯s chances of survival are higher, indigent Indians would probably benefit more in the long run. Binning the hotch-potch of existing schemes and implementing a radical new system would be politically difficult. Yet the broader plan may have a better chance than a targeted scheme, since many of the beneficiaries of the old schemes would get some cash under the new one. And it must be worth a try. The eradication of one of the world¡¯s very worst problems is a prize worth fighting for.